Do you feel it’s impossible to create content that’s a viral social share success? 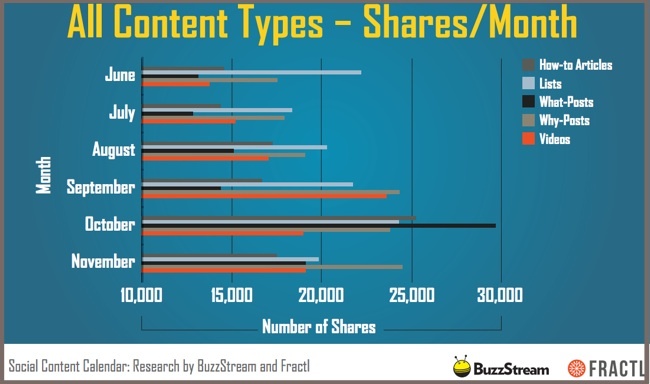 93% of publishers studied received less than 5,000 social shares per article according to Frac.tl research. 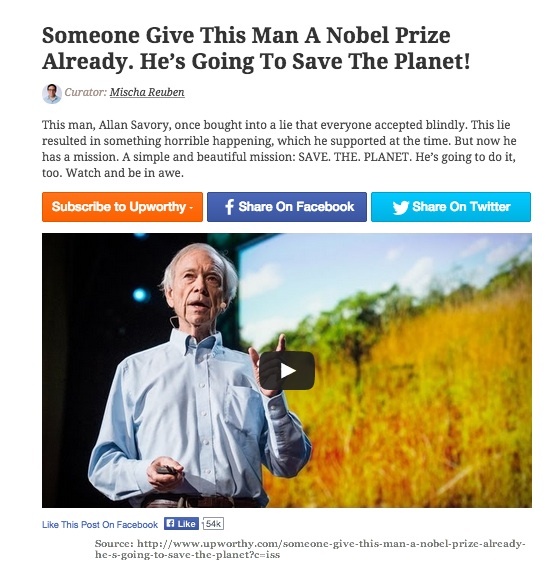 While sites like Upworthy makes it look easy, not every one of their articles is a viral social share success. 56% of Upworthy articles garner less than 10,000 views. Only 5 articles received over 1,000,000 views! Further, even the experts can occasionally get it wrong. Upworthy shared an example where their title was too cute for its intended audience. Pull back the curtain and you’ll find that making content go viral requires studying what works and tweaking your content until it reaches its maximum potential audience. Test, test, test is at the core of content marketing and social media success. Here are 3 secrets used by the kings of viral social shares to make their content click-worthy. As a content marketer, you must remember that your content must resonate with your target audience. While it’s helpful if you can leverage related topics to grow your readership, you still may not reach a larger audience. Give your content a push towards viral stardom before you ever write one word. Choose a content type that naturally attracts attention. Frac.tl and BuzzStream analyzed 220,000 articles published between June 2014 and November 2014. How-to articles. Provide information that prospects and customers seek. They act like mini-classes. This is the Marcus Sheridan, “They ask, you answer” article. List articles (aka listicles). Focus on a specific topic and provide a large number of points. Lists are my personal favorite. I created lists before social sharing was popular because it simplifies information. Lists provide great evergreen content. What articles. Offer deeper information on a specific topic. These posts had the greatest variance in shares. Why articles. Explain the rationale and theory that lead to a conclusion. Videos. Leverage the power of the moving image to convey information. They can be posted on a variety of different social media platforms. Include YouTube, the second largest search engine, Facebook and your blog at a minimum. Expect video use to increase in 2015. Whether you create original content or curate other people’s content, it’s crucial that you provide the context for the information to attract your audience’s attention and get them to share it. 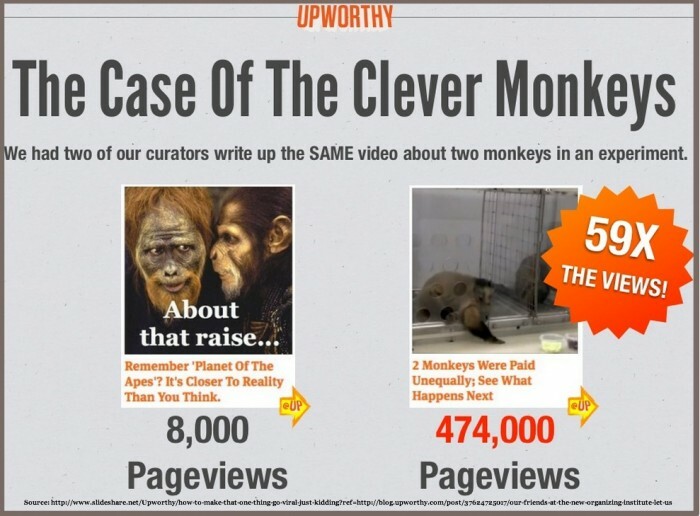 At its core Upworthy’s viral playbook consists of 3 basic steps. a. Find the story line. Need help? Read broadly and borrow ideas from the great writers. This does NOT mean steal other people’s ideas!!! This is where you make the content your own, even if you’re curating information from other sources. You must put it into a context that your key audience understands. Here are 3 key factors. Headline. Upworthy believes in cranking out 25 test headlines. Include a curiosity gap that forces people to keep reading. 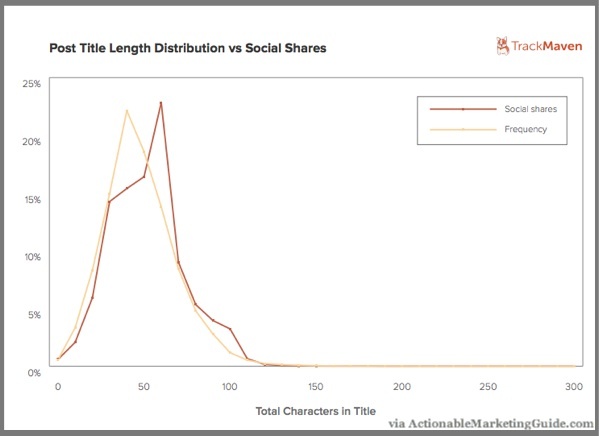 According to TrackMaven: While most titles contained 40 characters, social shares peaked at 60-character titles. Photo. Don’t underestimate the value of eye-candy. Upworthy likes X vs Y, annotation, video symbol, screenshots, curiosity factor, celebrity factor, cute photos, weird photos and PG13. Mom factor. Face it most sharing is done by middle-aged women. If your mom wouldn’t like it, it’s a good bet that others won’t appreciate it either. Remember Pinterest is a female-leaning visual social media platform. BTW, Upworthy has a 6 point checklist to ensure they don’t leave anything to chance as you can see from the example below. Note the big share and subscribe buttons! c. Make it easy to share. Understand where your audience spends their time on social media. Regardless of your business focus, don’t underestimate the value of Facebook. 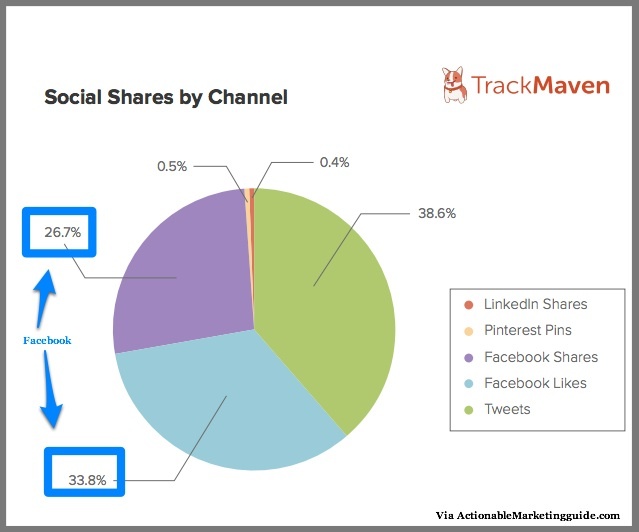 According to TrackMaven, 33.8% of people liked it on Facebook and 26.7% of people shared it. This underscores the fact that it takes more effort to get readers to share content. Streamline sharing. The less your audience has to do, the more likely they’ll share your content. It’s one of the reasons that many content creators use social media icons that slide down the left side of the browser window as you scroll. Add celebrity or high profile tweets. It’s social proof and encourages more shares. Ask viewers to share or take another action. That’s right. Just ask! 3. Manage publication timing to maximize shares. Think outside of the workday for publishing and social shares. While only 6.3% of posts are published on Saturdays, they received 18% of the total social shares. 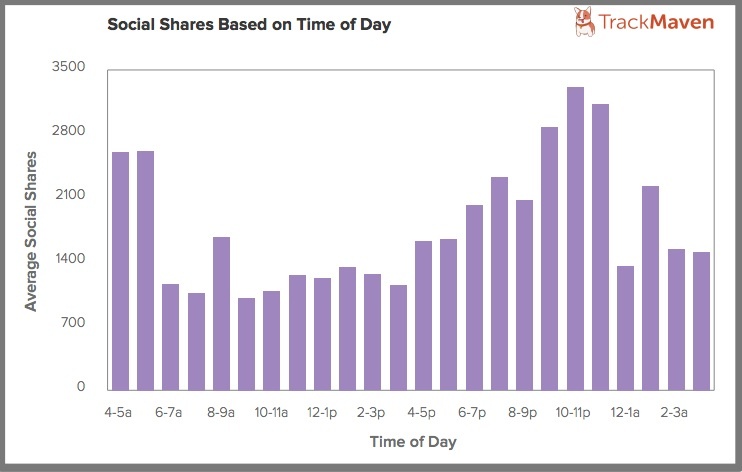 To stand out, post your blog articles between 9 pm and midnight EST to garner the most social shares. 10:00 to 11:00 pm is the highest point of engagement. 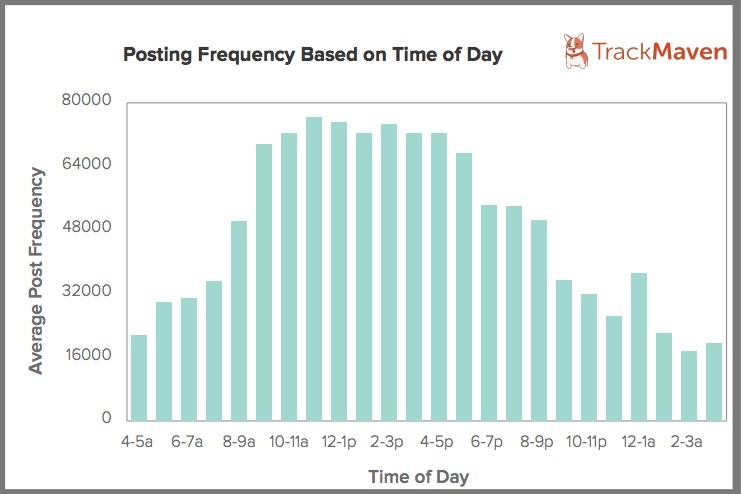 (Note: Most blogs posts are published during work hours with the highest point at 11:00 am to 12:00 pm with 6.53% of posts published then. Ensure that you maximize the reach of every piece of content. Continue to test every element of your content presentation to determine what yields the best results for your business. 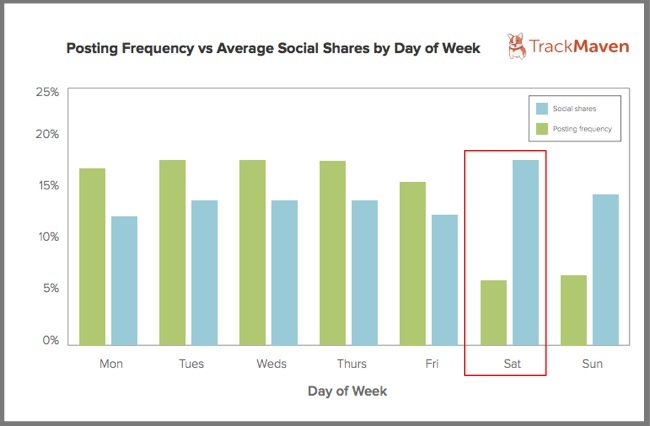 What other factors have you found to be important to creating viral social shares? Tags Chart, Fractl, Marcus Sheridan, Social Share, TrackMaven, Upworthy, Viral. Bookmark the permalink. 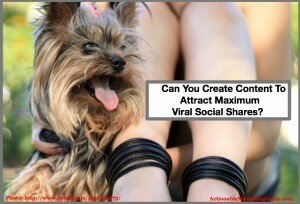 2 Responses to Can You Create Content To Attract Maximum Viral Social Shares? A great article indeed! And the crux is, shareworthy content never comes free; you need to invest parallel effort to see the results! Another great post Heidi! – Thanks for compiling these insights – Lots of great info here.. For me, the biggest one I struggle with is the idea of crafting headlines that have 40-60 characters based on the TrackHaven study. As of late, I’ve noticed sites like BuzzFeed and Upworthy completely throwing this philosophy out the window and still achieving great success. For example, take this BuzzFeed article titled: “This Video Of A Blind Mother Seeing Her Newborn Son For The First Time Will Warm Your Heart” — It’s 90 characters long but it generated more than 109k shares on Facebook. For me, outside of the best practices comes the insight and importance of focusing on emotion. To your point about the Mom factor. It’s important that the content stirs up emotion and is aligned with the audiences interest. If you can’t hit an emotional chord with your audience – It’s less likely that your content will go viral. It doesn’t matter if your title has 20 characters or 90; without emotion – virality is unlikely.. All in all – great read Heidi, there are lots of great nuggets here!